Sensors similar to those used in computer games consoles are to be planted into fish to help scientists better understand their movements under water. Scientists from the Centre for Environment, Fisheries and Aquaculture Science (Cefas) are looking to pilot the technology as part of their research into fish habits which will ultimately help with predictions about future fish stocks. The three axis accelerometer sensors, which can detect movement in any direction just as in Nintendo Wii remote controls, will be used to learn more about the habits of fish by studying how they move about and measuring their metabolic rate. Cefas have already trialled an electronic tag which can log every time a fish opens its mouth, which they can use to track when a fish is breathing, feeding, coughing or yawning. The tag can also determine the fish’s location. The tags, which cost up to £800 each to produce and have been funded by Defra, work by installing a magnet in the jaw of a fish, with a sensor that reads the changes in the magnetic field as it opens and closes its mouth. The scientists found that the tag was so successful at keeping track of fish activity in its trials that they are now planning to use a full production version to monitor feeding in wild cod in the open seas. The sensors are helping Cefas scientists to get a better picture of fish behaviour - such as when, where and how often they eat - which in turn will help scientists understand more about fish stocks sustainability, and the distribution and abundance of their food sources. Following the success trial with the electric tag, attention is now turning to developing the Wii-style sensors to give an even better picture of fish activity in the wild. 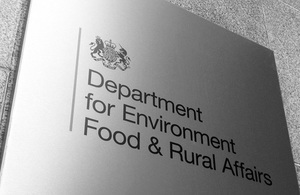 Telephone interviews with the scientist behind the research can be arranged by contacting the Defra Press Office.